HAMSTER Co. (Head Offices: Tokyo-to, Setagaya-ku; CEO: Satoshi HAMADA; referred to below as “HAMSTER” announces that from March 29th, 2018, ACA NEOGEO SENGOKU 3 will be available digitally for ACA NEOGEO, the downloadable series by HAMSTER for Nintendo Switch™, PlayStation®4 and Xbox One. 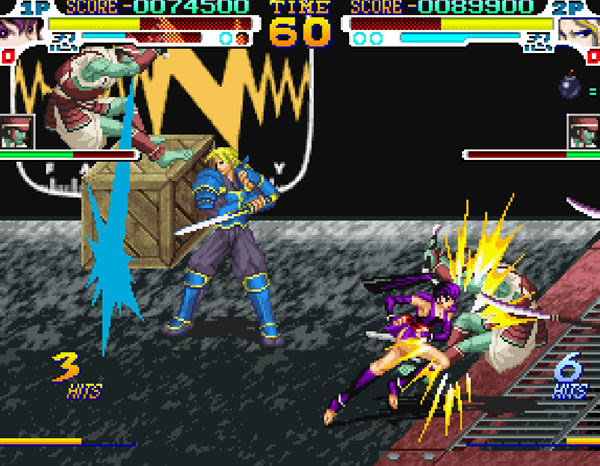 “SENGOKU 3” is a side-scrolling action game released by SNK in 2001. In order to purge malicious souls, Shinobi travel the world to defeat the undead. Cut, smash, throw, and use weapons as well as Ninja Arts and Ultimate Ninja Arts in this hyper-action ninja game.